Accent Windows & Doors, LLC was established in 1999 and operates out of Simsbury, Connecticut. We specialize in the professional and quality installation of energy efficient windows, doors and vinyl siding. Doug Hauser, owner of Accent Windows & Doors, LLC, has been installing windows and doors since 1987. He will be involved during all stages of your commercial or residential project. That means no salesmen or middlemen to deal with. Doug believes that the key to a solid working relationship is communication and will keep you informed and updated at all times. Accent’s philosophy is to provide the highest level of customer service and satisfaction. We will provide you with information about home improvement products so you can make an informed decision about your home improvement project. We take great pride in the quality of our work. That’s why we don’t use subcontractors. All work is completed by Accent employees trained by Doug himself. Personal attention will be given to every detail of the project and we will stand behind our workmanship. Since 1969, Burr Roofing Siding Windows has been a leader in professional installation of roofing, siding, windows, gutters and other home improvements. As Southern CT's ONLY James Hardie Preferred Remodeler we are the all in one home improvement company for discerning homeowners in Connecticut, serving over 10,000 satisfied customers to date. Whatever your home improvement needs, Burr Roofing Siding Windows is the best choice for those looking for superior products accompanied by experience, value, dependability, and professionalism. Whether you're considering a high-end design and build construction project, a home renovation, or simply looking to update part of your home, The Siding Guys will provide you with professional service and ensure you are satisfied with the results of your project. The Siding Guys team is made up of highly trained, experienced, and motivated individuals that continue to receive training on the latest technology and advancements in the construction industry. One of the best parts about our company is that you never have to look far to find one of the owners. With all of our work, we believe that if our name is on it, we own it. That’s why each team leader is one of the owners of the company. In our ongoing and constant pursuit of perfection, The Siding Guys is committed to a business foundation and philosophy supported by the following principles – our Seven Pillars of Excellence: INTEGRITY - we stand behind our work through the moral and ethical principles of honesty and trust, an approach governed by our impressive track record. COLLABORATION - we believe in facilitating a team approach among all parties involved on the project to create a sharing of knowledge that delivers the best possible project. Unlike many in the industry, we value a collaborative approach that produces the best project results in the most efficient manner. WISDOM - through our experience, vision and knowledge, we are able to accurately and thoroughly deliver both the client’s expectations and vision for the project. We understand what it takes for a project to become a reality. QUALITY - at the core of every successful business is a collective commitment to quality. The Siding Guys follows its proven business equation to ensure success. By embracing a higher standard of excellence, our people deliver higher quality results. VALUE - it is ingrained within us to deliver the best value for our clients. Our experience, knowledge and proven processes result in maximized value. SUSTAINABILITY - The Siding Guys recognize the value in sustainable building practices for future generations and is committed to the longevity of the company through environmental awareness. SAFETY - Regardless of the project, safety is and always will be our number one priority. A core value of each project is a commitment to the safety of all team members. We are Connecticut’s exterior remodeling experts. Here at Premium Siding & Windows, LLC we have been beautifying Connecticut homes for over 24 years. We specialize in roofing, siding, windows, doors, gutters and gutter guards along with other exterior remodeling projects. •As a Connecticut roofing company we handle all roofing types, asphalt, composite and rubber roofing. Complete Connecticut roofing prices from Connecticut’s roofing contractor •Being a Connecticut vinyl siding company we provide complete vinyl siding prices for a wide selection of vinyl siding from vinyl shake to long length vinyl siding. With dozens of accessories and over 100 siding colors with matching trim to choose from. When getting vinyl siding prices in Connecticut from us ask about Energy Star rated vinyl siding for your Connecticut home. 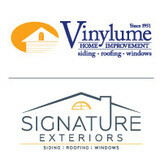 •Our Connecticut window company carries vinyl and wood replacement windows. All of our windows are energy star rated for year round energy savings with dozens of design options and window colors to choose from. Check us out for window prices in Connecticut. •Our door selection includes entry doors, patio doors and storm doors. We have doors in fiberglass, steel, wood, vinyl and aluminum. With dozens of colors and some of our doors are available pre finished. •Our selection of seamless gutters in .032 gauge with 5” and 6” sizes can handle all residential needs with 14 colors to choose from along with gutter guards to reduce gutter cleaning and heated gutter guards to help stop ice dams. Contact us today to talk about your exterior remodeling project in Connecticut. We have products for every budget. LA RICH Remodeling specialize in roofing, siding and replacement windows. We are experts in interior remodeling, additions and custom decks. We provide services for residential home owners, commercial properties, condo complexes and property management companies. We’re established with a proven track record. We’ve been in business for more than 27 years and have provided quality improvements to over 5,000 satisfied customers in the Central Connecticut area. We are a full service, certified, and licensed chimney contractor with twenty years of experience in all aspects of chimneys. You can count on us for speedy, reliable service when you need it most. CT Complete Chimney is bonded and insured as well as a member of the Southington Chamber of Commerce and the Better Business Bureau. Our chimney experts are highly skilled and have undergone rigorous training. All of our jobs are handcrafted with care, safety, and precision. Our aim is to make you a lifelong customer. We take pride in our customer and make sure our clients are fully satisfied. We are Manufacturers of PVC Siding & Trim. Nucedar was the first company in the Building Materials Industry to introduce factory pre-finished, premium grade, architectural siding, trim, and millwork to the custom home and mutli-family segments. White Home Products is a family owned and operated exterior home improvement contractor. We have served Fairfield County, CT for over 32 years. Our focus is to provide superior quality installations through the use of our highly trained and certified installers using high quality manufactured building materials. It is our goal to treat each home we work on as if it were our own and leave every homeowner feeling completely satisfied with the overall experience and finished product when the job is complete. What types of siding services do West Hartford exterior contractors provide? Wood siding needs more maintenance than less-expensive, low-maintenance vinyl siding, but with proper care it will outlast vinyl siding, which can fade and crack over time. Your West Hartford, CT contractor might also suggest fiber cement siding, which is fire resistant and termite-proof and can come with a warranty of up to 50 years. 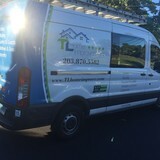 Find siding and exterior contractors in West Hartford, CT on Houzz. Narrow your search in the Professionals section to West Hartford, CT siding and exterior contractors. Find out how long a West Hartford, CT exterior remodeling contractor has been in business, view portfolios, read reviews and get contact information.